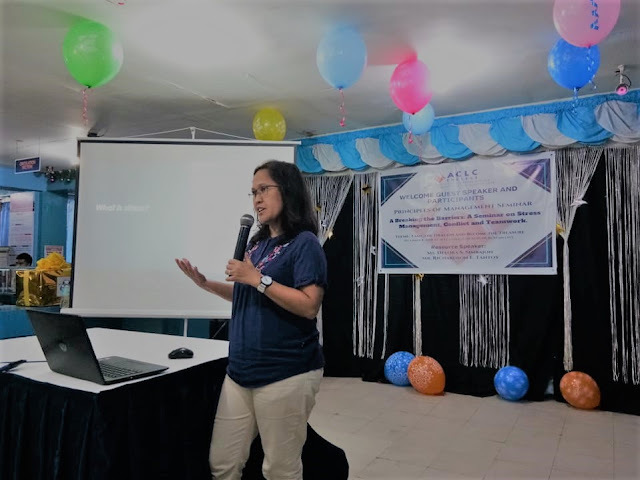 I was invited to speak during the Principles of Management Seminar hosted by ACLC (Ama Computer Learning Center) College last December 8, a Saturday. 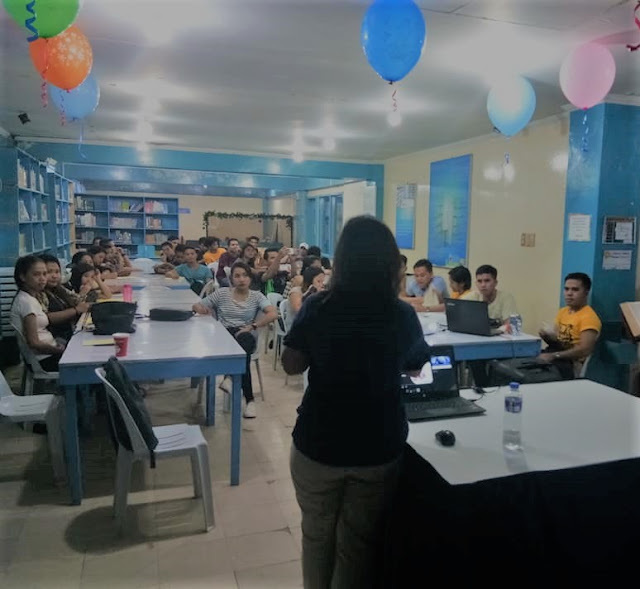 I was tasked to speak about Stress Management, Team Building and Conflict Management. While these are challenges that students face today, they are actually the same issues all of us face in the workplace and even in our homes. As my practice, I also gave time to the participants to discuss in groups or pairs their insights or comments about the topics after each session we had. I also gave them time to share to the bigger group. A lot of their sharing reminded me of my college years — specifically that challenge of working together when your instructor assigns you as a group or team to work on a class project. Yes, it can be pretty stressful when you need to work as a team and even learn to work through any conflict that may arise. I assured them that one day they will be able to look back from their experience now and will even be able to draw their own insight and learning from it and apply it to their working life then. I am thankful to once again be given the opportunity to speak before our youth of today who will be the leaders of tomorrow.